I have to say out of all the costumes I have made over the years this is my absolute favorite. After a quick trip to Wal-Mart the other day I saw this red spider mini top hat headband. I could not stop thinking of this hat. So naturally I get the idea for what I can make to go with it, a circus ringmaster bustle tutu. This costume took much longer to make than the average tutus I normally make but WOW so worth the extra time. 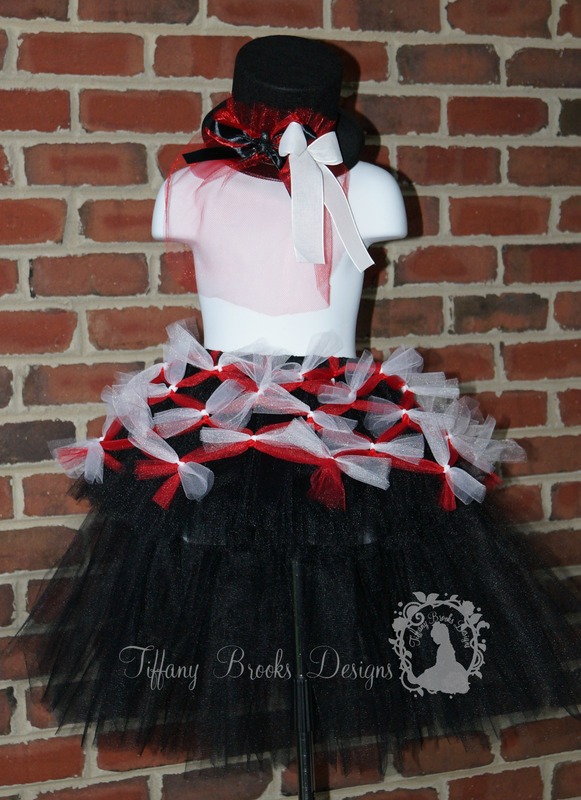 This bustle style tutu features yards and yards of black tulle on a no roll elastic waist band. Red criss cross tulle lays atop the black tulle front and back. White tulle ties at each criss cross section. Like I mentioned above, the red spider top hat headband is an accessory I purchased especially for this costume. 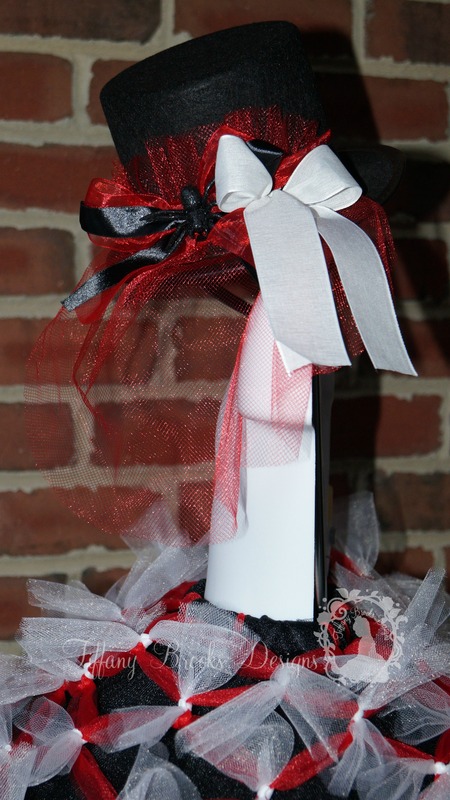 I simply added a white ribbon bow to match the tulle ties on tutu. After Halloween tutu can be worn for dress up fun and other holidays throughout the year. I can also see this costume being a saloon girl tutu costume. Just aff a top, gloves, and feather fan and you have a whole new look. If you would like to purchase or view the full details of the Circus Ringmaster Tutu and Top Hat set, check out my store. You will also get a chance to view my other one of a kind items available.